Ho-ho-ho! The LED revolution is upon us this holiday season. In December 1989, Clark Griswold’s impressive lighting display caused a peaking power plant to come on-line somewhere in Illinois. Fast-forward to 2016, however, and the Clark Griswolds of the world (or at least of New York state) have switched to LED string lights in droves. The technology revolution of this seasonal staple has resulted in a substantial drop in energy use. New York’s grid operator reported on Monday that holiday-light energy use has declined by about one-third from 2010, largely due to the switch to LEDs. This year, holiday lighting will add about 750 megawatts of load, down from about 1,150 megawatts in 2010. Of course, the peaking power plant in National Lampoon’s Christmas Vacation was a Hollywood contrivance, as most regions of the U.S. have ample electricity supply in wintertime In New York, for example, this winter’s peak demand will only require about half of the available electricity resources in the state. The move to LEDs is not limited to holiday season, however. (According to GE Lighting market research, that season begins around Veterans Day.) LEDs are now cost-competitive with compact fluorescent bulbs and often provide superior performance. People are also starting to understand that LEDs do not only come in the harsh white light that was the only option just a few years ago. 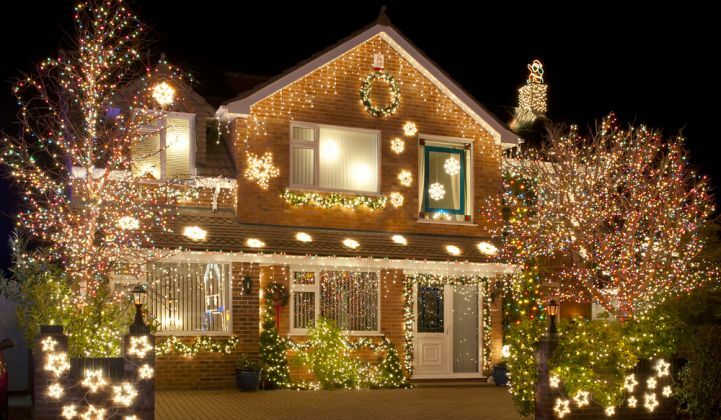 As for Christmas lights, the advantages of the low-powered bulbs are considerable. The minimal power needs -- about 75 percent less than incandescent -- mean that the lights can run off of battery packs, eliminating annoying cords for everything from window candlestick lights to outdoor displays. Some exterior holiday lights even run on solar power. Also, Energy Star-certified string lights can last about 10 times longer than traditional light strands, and they don’t heat up. If the considerable energy savings of LEDs this holiday season doesn’t warm your heart, consider another statistic of far greater significance. In the same period that LEDs have been curbing electricity needs in the New York winter, they have also been transforming lives in the developing world. Since 2010, more than 35 million people have been moved from zero energy access to Tier 1, which is access to basic, modern lighting and cell phone charging, mostly because of LED solar lanterns. The LED lanterns are important not only for providing better illumination, but also because they have eliminated more than 20 million traditional, and often dangerous, lighting sources, primarily kerosene lanterns.